Putting the current jihadist operation in Iraq in a long-term retrospective context, Italian geographer Manlio Dinucci does not perceive it a spillover of the war in Syria, but as the third US war in Iraq. Therefore, for him, it is the war in Syria that spells an outgrowth of the war in Iraq. The first U.S. fighter bombers, which on August 8 struck targets in Iraq in the area controlled by the Islamic State, took off from the aircraft carrier George H.W. Bush, named in honor of the Republican president who in 1991 launched the first war against Iraq. 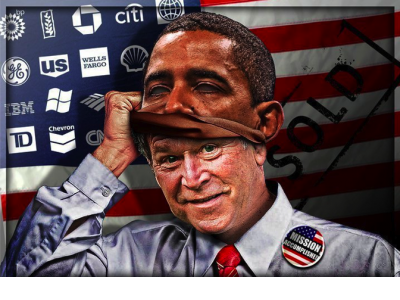 Continued by his son, George W. Bush, who in 2003 attacked and occupied the country, accusing Saddam Hussein (based on ’evidence’ which later turned out to be false) to be in possession of weapons of mass destruction and of harboring Al-Qaeda. After deploying in the war inside Iraq more than a million soldiers, plus hundreds of thousands of allies and mercenaries, the United States came out substantially defeated, without attaining full control of the country, a goal of primary importance for its strategic position in the Middle East and its oil reserves. That is where Barack Obama stepped in, the Democratic president (and Nobel Peace Prize winner) who in August 2010 announced the start of the withdrawal of American troops and allies from Iraq and the beginning of a “new dawn” for the country. In fact, a blood red dawn marking the transition from an open war to a covert one, that the United States have extended to Syria, which borders Iraq. This context gave rise to the Islamic State in Iraq and the Levant (ISIL) which, while professing to be a sworn enemy of the United States, is actually instrumental to its strategy. It is no coincidence that the ISIL built up the bulk of its forces precisely in Syria, where many of its leaders and activists flocked after having formed part of the Libyan Islamist groups who were first classified as terrorists and subsequently armed, trained and funded by the U.S. secret services to overthrow Muammar Gaddafi. Having joined up with militants -predominantly non-Syrians coming from Afghanistan, Bosnia, Chechnya and other countries – they were provided with weapons by a network organized by the CIA, and sneaked into Syria especially through Turkey in order to overthrow President Bashar al-Assad. Hence the ISIL began its advance across Iraq, attacking in particular the Christian populations. It thereby provided Washington, which had hitherto remained officially a passive spectator expressing at most “strong concerns”, with the opportunity to start the third Iraq war (though Obama obviously does not define it as such). As he said in May, the United States use military force in two scenarios: when its citizens or interests are threatened; when a “humanitarian crisis” occurs on such a scale as to make it impossible to stand by and do nothing. After having caused, in more than twenty years of war and embargo, the death of millions of Iraqi civilians, the United States now presents itself in the eyes of the world as the savior of the Iraqi people. Barack Obama made it clear that “this is going to be a long-term project.” For the new air offensive in Iraq, CentCom (whose “area of responsibility” is the Middle East) already has 100 aircraft and eight warships, but can resort to many more forces, including 10,000 American soldiers stationed in Kuwait and 2,000 Marines already embarked. The United States is thus relaunching its strategy for the control of Iraq, also to preclude China, which has established strong ties with Baghdad via Iraqi Prime Minister Nouri al-Maliki, from increasing its economic presence in the country. In this context, it is in Washington’s interest to achieve a de factopartition of the country into three regions – Kurdish, Sunni and Chiite – more easily controllable. In this vein, Italian foreign minister Federica Mogherini significantly pledged “support, including military support, to the Kurdish government,” but not to the central government in Baghdad. TLB recommends you visit Voltaire Network for more great articles and pertinent information.